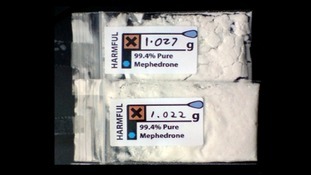 There are warnings tonight against taking mephedrone. It comes are three people have been admitted to hospital after taking the drug. Two of those admitted are in a critical condition and in intensive care. "Three people from the Swansea area have been admitted to hospital following recent consumption of Mephedrone. Two patients are critically ill on an intensive care ward. “Further laboratory investigations are underway to establish the possibility of bacterial contamination of the drug, or contamination with a chemical cutting agent. “We are working with colleagues in Abertawe Bro Morgannwg University Health Board, Cardiff Toxicology Laboratory, South Wales Police and Public Health England. “It is very important from a public health perspective that any individual using or considering use is aware of the dangers associated with Mephedrone, particularly of taking this drug over prolonged periods or in high quantities. An undercover ITV Cymru Wales reporter has exposed the extent of Llanelli's drugs problem, obtaining a gram of the class B drug Mephedrone, after just an hour on the streets of the town. Recent figures show that of a hundred offences committed relating to the drug - commonly known as Meow Meow - in Carmarthenshire in just six months nearly half were in Llanelli. The investigation is part of a special Hacio programme to be broadcast on S4C at 10pm on Wednesday. Dyfed-Powys Police admits drugs are "an issue" in Llanelli, and says tackling drug misuse and supply is "a priority" for the force. Like other towns and cities in the UK drugs are an issue the police in Llanelli face. Tackling drug misuse and supply is a priority for Dyfed Powys Police, and we act proactively to disrupt the supply of drugs into our communities in order to reduce harm and bring the dealers/suppliers to justice. We will work closely with the producers of the programme to investigate this incident. We conduct targeted work focusing on the harm caused by drugs through successful operations where drugs are seized and individuals arrested. The public can also help us in our fight against drugs by providing us with information relating to drug misuse or supply within our communities – call the police on 101 or anonymously by calling the independent charity Crimestoppers on 0800 555111. Llanelli was top of a list of 15 Mephedrone hotspots, according to organised crime taskforce Operation Tarian. An ITV Cymru Wales reporter has been undercover to reveal the extent of the drugs problem on the streets of Llanelli. After spending less than an hour in the West Wales town, our reporter had managed to obtain a gram of the class B drug Mephedrone. The investigation is part of a special programme on the drug scene in Llanelli, to be broadcast on Hacio on S4C at 10pm on Wednesday. Dyfed-Powys Police and Crime Commissioner Christopher Salmon has acknowledged the scale of the problem.